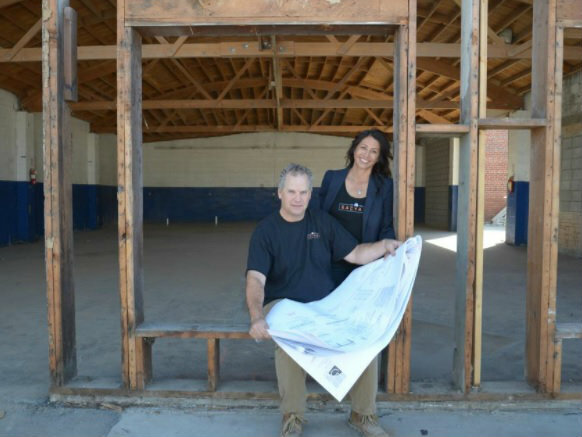 Husband and wife team Dan and Melody Thebeau are converting an old auto shop in East Sacramento into a new beer garden called Sac Yard Tap House and Biergarten. An old shopping center in Sacramento called Arden Creek Town Center is about to get a facelift. The Sacramento Business Journal's Digital Editor Sonya Sorich says the real estate development company Merlone Geier Partners is planning an extensive renovation. "This center is at the northeast corner of Arden Way and Watt Avenue and it's actually more than a half-century old, but it's getting new life in a project that's expected to be a $10 million investment," says Sorich. The center has three tenants right now: Rite Aid, Smart-and-Final and PetSmart. That number could go up to a dozen new tenants when the project is done. The makeover continues at the Sacramento shopping center formerly known as University Village at Howe and Fair Oaks. Merlone Geier Properties is spending more than $10 million to upgrade the site — re-branded as The UV. Sorich says there's a new addition to the site plan. "Aji Japanese Bistro, which currently has a location in El Dorado Hills Town Center, will expand to University Village, at least according to that site plan," says Sorich. "Now so far, the operator of the El Dorado Hills site hasn't commented on a possible second location, so we really don't know much beyond what the site plan suggests." Aji would be one of several new culinary arrivals at the center, including The Organic Coup, Jimmy John's and Zocalo. East Sacramento is becoming a hot spot for new places to eat and drink. That includes a new outdoor beer garden that will be replacing an old auto shop on 33rd Street. Sac Yard Tap House and Biergarten is expected to open in December. Sorich says it's among a handful of new food and drink businesses in the works. "The beer garden is not too far away from the new Canon restaurant that's opening this month," says Sorich. "That business will also have an outdoor component with fire pits and extensive landscaping out there." Track 7 Brewing has also announced plans for a new taproom and restaurant in a former cafe space on Folsom Boulevard. It's expected to debut in the spring of 2018.